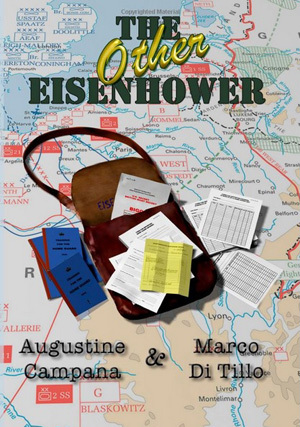 We are Augustine Campana and Marco DiTillo, and are happy to announce our new work, The Other Eisenhower, a most exciting piece of historical fiction about D-Day. In this blog, we will discuss aspects of the story–both our fictional account and the facts that stand as the very imposing backdrop for the story. Wars are full of odd events and coincidences. It was no different on that warm morning in May 1944 when an open window, an errant breeze, and classified plans for the invasion of Europe aligned to create a near disaster. History records that twelve copies of the plans blew out a War Office window and onto Whitehall. Quick action by frantic staffers led to the recovery of eleven of the documents. One copy remained missing long enough to find its way into the hands of an innocent passerby. The missing copy was eventually turned in to a sentry at the Horse Guards, located across from the War Office, by a man with glasses.